They say that all good things must come to an end. Unfortunately, that tends to happen a bit too often to me over the summer. 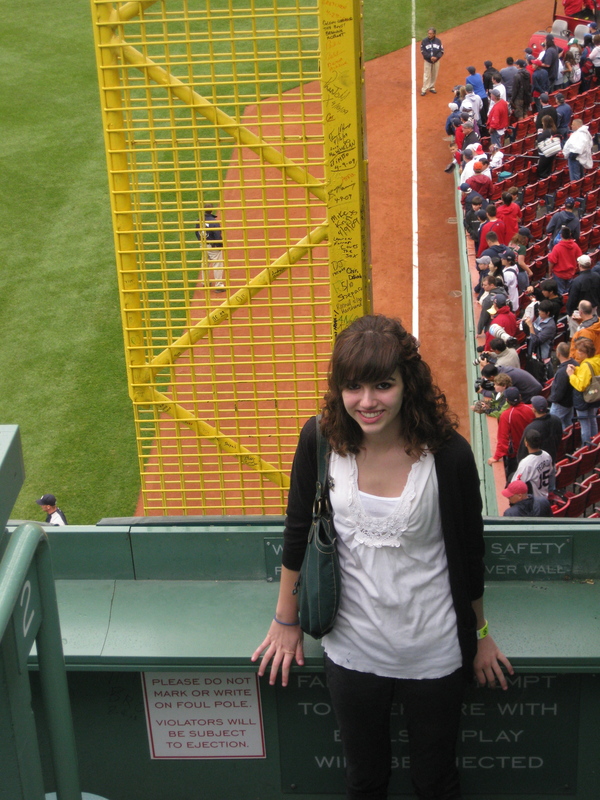 My stay in Boston has come to an end, but the one bright spot is that I finally get to share some of my baseball adventures with you. 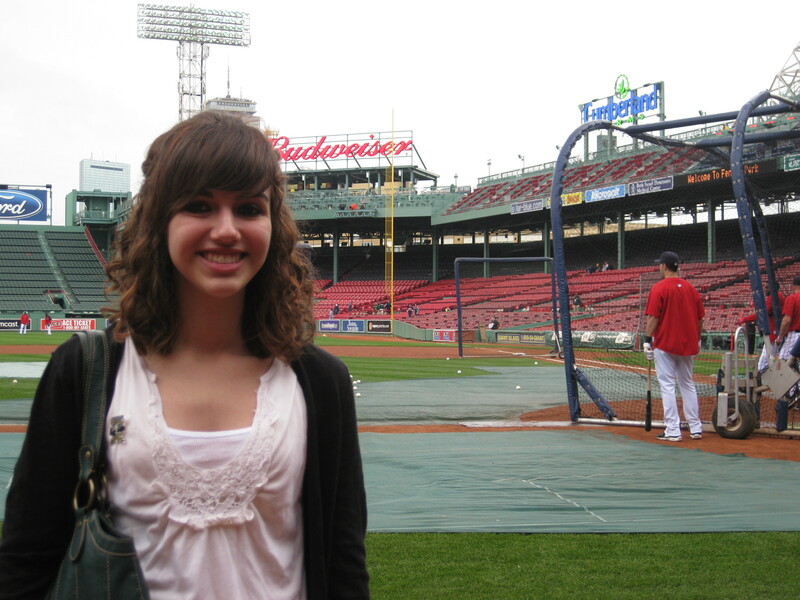 I had quite a lot of adventures this time around in Boston, and the vast majority of them were related to baseball. I’ll give you a quick summary of what I did over the week, but I have two things that I want to focus on tonight. 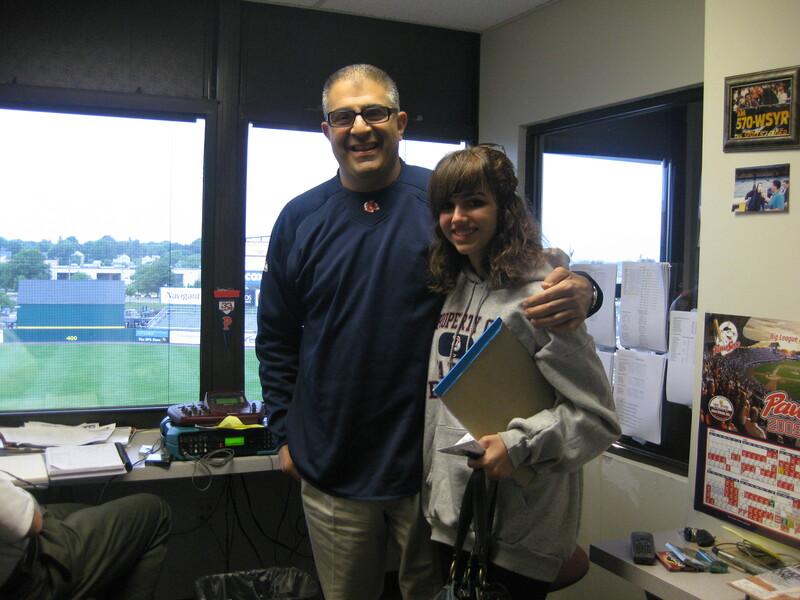 I had the opportunity to meet Dan Hoard, the radio broadcaster for the Pawtucket Red Sox (Triple AAA affiliate of the Boston Red Sox in case you were wondering). He was kind enough to let me interview him. 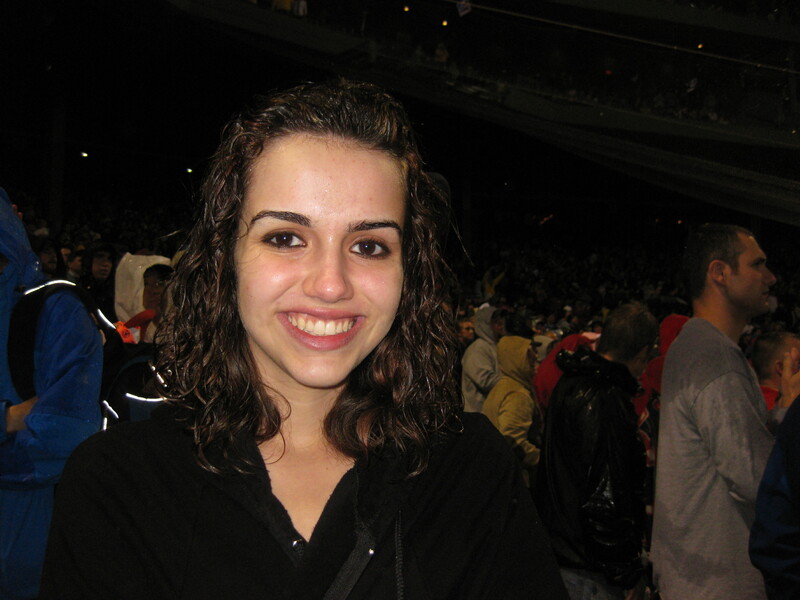 At that same game, I spent the entire time talking to one of my projects, Michael Bowden. He is a huge prospect in the Red Sox organization. He pitched last year against the White Sox and he pitched this year against the Yankees: the game that Jacoby Ellsbury stole home. It was a once in a lifetime opportunity to hear his perspective on baseball. The next night, Steve Hyder, the radio broadcaster for the PawSox (he and Mr. Hoard are partners) let me interview him in the press box! He was a Rhode Island native, so of course he grew up a fan of the Red Sox. More on that tomorrow. On Wednesday, I met one of our fellow MLBloggers, Julia. I can’t put a picture of her up though– this was all explained to me. 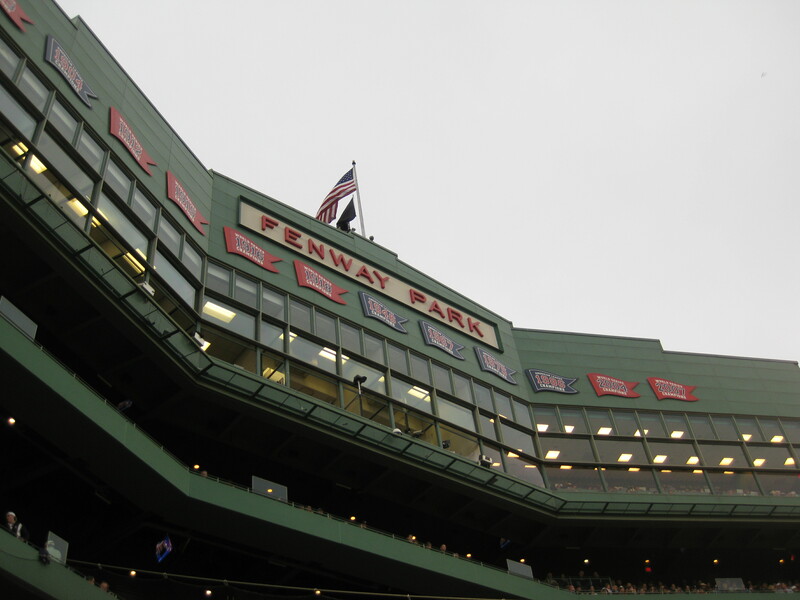 We went to the famous Bleacher Bar at Fenway Park (don’t worry, it’s a restaurant), and I went through “Boston initiation” (more on that later). For those of you who tuned in to the Yankees vs Red Sox game on Thursday night, you know that it was not only the most exciting game of the series, but of the year as well. It rained all night long, which made the temperature even colder. By the end of the night I could see my breath, and I was only in a light, black cardigan. I wasn’t going to move though. 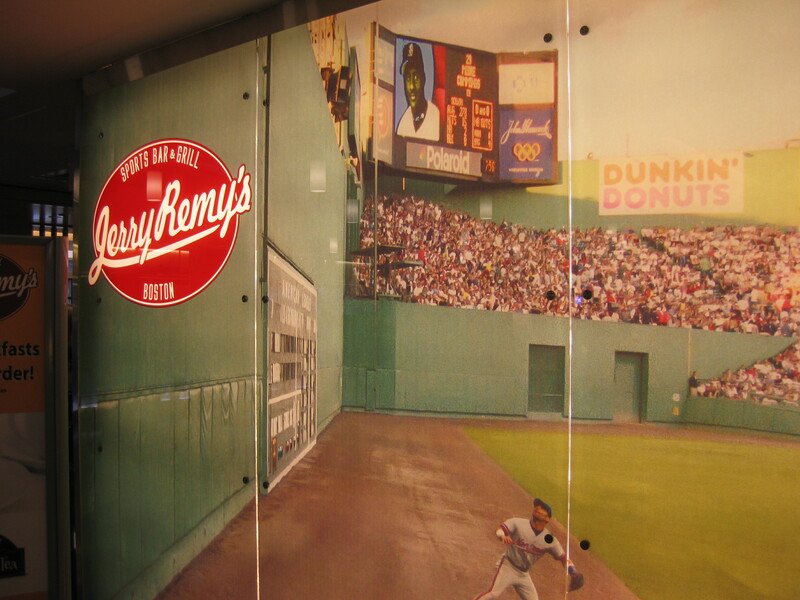 Leaving my favorite city is never an easy task, but the situation was lightened thanks to Jerry Remy’s restaurant. There was a bit of a problem with the dining situation though, and I thought I could bring it to the attention of baseball fans everywhere. 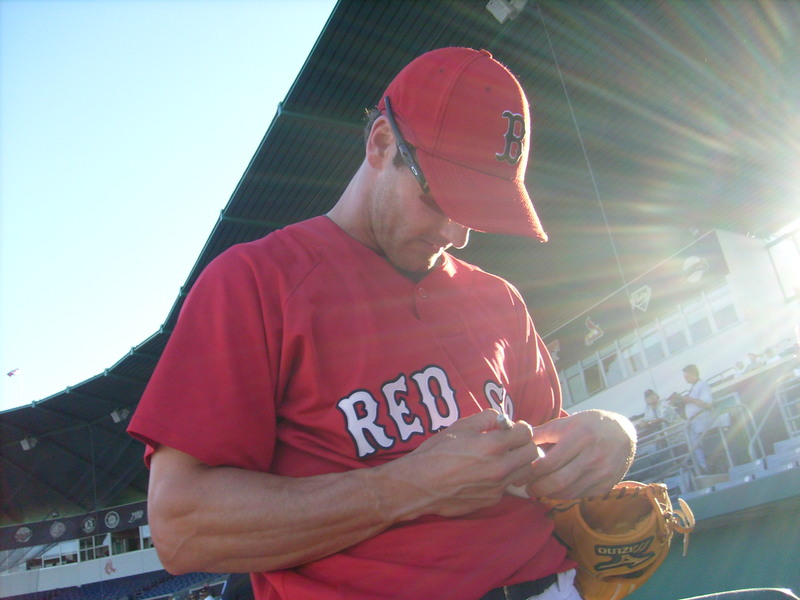 In June 2008, Rem-Dawg’s Nation voted on their “All-Time Nine”: the nine best position players in Red Sox history. Some of them are fairly obvious, others get into some ‘dirty water’ (this has a negative connotation though), and one of them is just a disgrace. I’ll begin with the recipient of the third base honor: Wade Boggs. 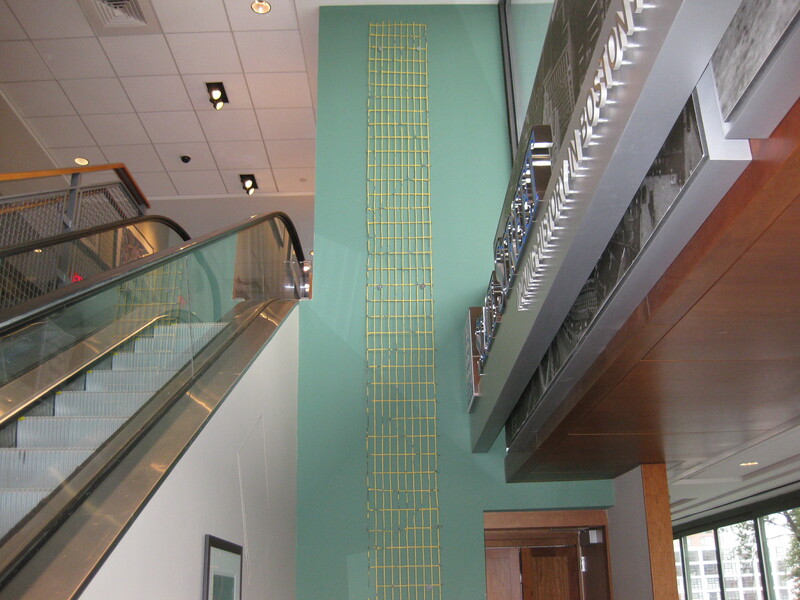 Just looking at numbers, Boggs deserves to be on this wall. Yet his baseball career had a little bit of scandal, and he pulled what I like to call a ‘Johnny Damon’ (even though Johnny Damon was just a kid when Boggs was playing). I think that Mike Lowell is a definite runner up for this category considering that he embodies what baseball is all about and the fact that he has the best fielding percentage of third basemen in history. Not to mention he was the MVP of the ’07 World Series. Anyway, my argument for Boggs would be that he really is the best of all time even if he did pull a Johnny Damon. Johnny Damon wouldn’t even come close in the voting not because of the amount of hearts he broke in New England, but because he isn’t even comparable with Fred Lynn. 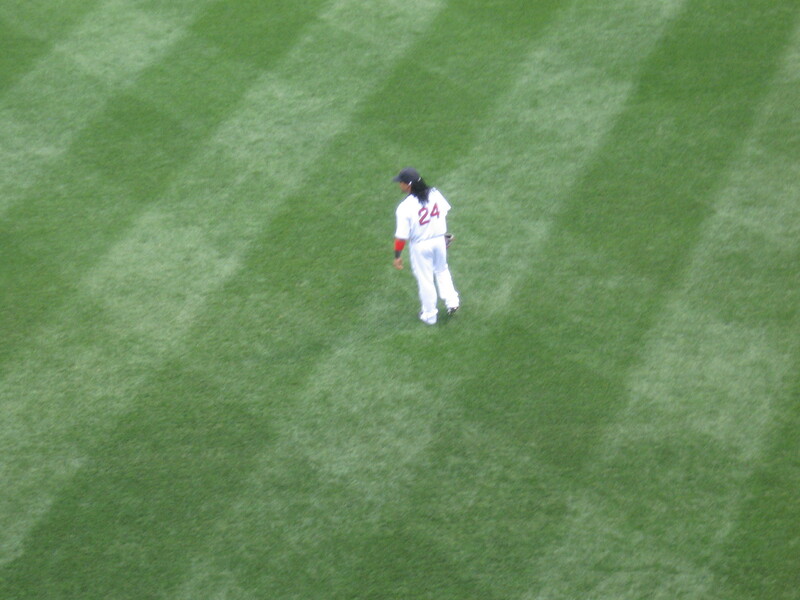 The other man that stumbled into a bit of dirty water when I was looking at the recipients was Nomar Garciaparra. Sure Nomar was a “plague” in the clubhouse and his departure has seemingly cursed the subsequent shortstops, but his numbers from 1997-2000 are unbelievable. Nobody gets the MVP and the Rookie of the Year award in one season. The only other Red Sox shortstop that is even comparable is Johnny Pesky. 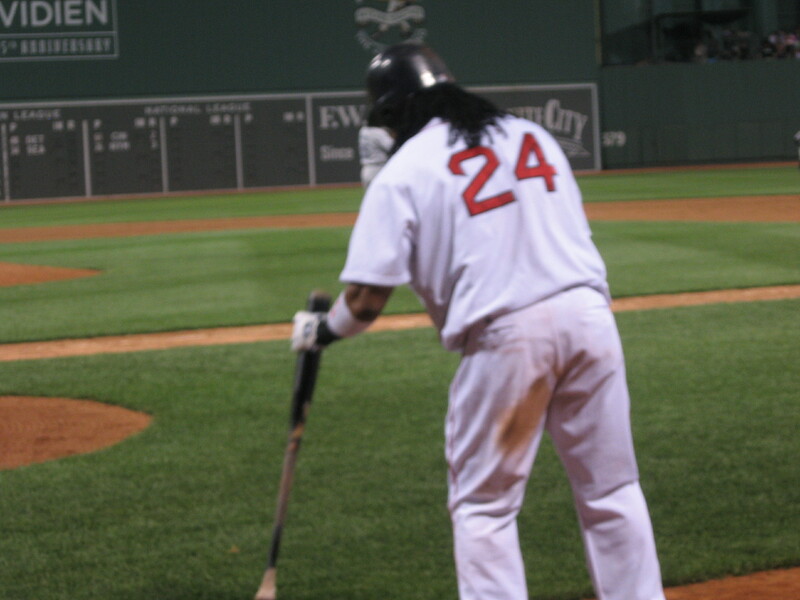 The disgrace is Manny Ramirez. His name has become synonymous with “disgrace” and “bum” ever since his rude departure almost a year ago. I don’t need to go into detail with him. We all know the disrespectful words he has issued towards the Red Sox organization, and the reasons behind his temporary ban. Granted, there is no denying the fact that he is probably the most impressive hitter since Ted Williams, but I would be willing to bet that many Red Sox fans have changed their mind about who they want representing their “All-Time 9” players. 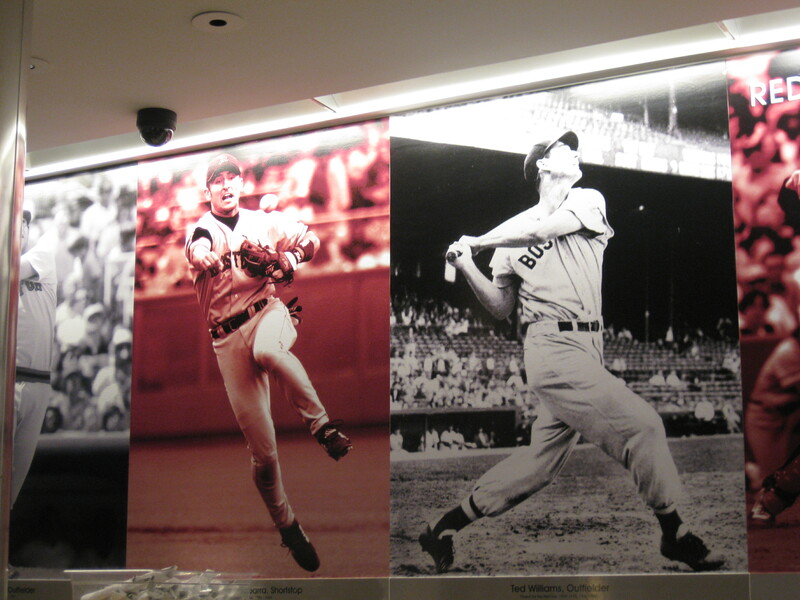 The other two fielders were, quite sensibly, Ted Williams and Carl Yastrzemski. The only problem I have with this is that they are both left fielders. If we are to represent our “All-Time 9” properly, than shouldn’t we represent each position? I know that in the All-Star voting that it is just classified as “outfielders”, but I still think that we should represent our best center fielder of all-time: Fred Lynn, and our best right fielder of all-time: Dwight Evans. What do you think? and Blue Jays. I wasn’t able to write down everything that he said, but I do have a fairly good memory. 1. When did you realize that sports broadcasting was something you were interested in pursuing? What/who was your motivation? Mr. Hoard said that he knew since the very beginning that he wanted to be a sports broadcaster. His favorite broadcaster wasn’t even who many consider to be baseball’s greatest voice, Vin Scully, he enjoyed listening to a Buffalo, NY sports broadcaster. 2. 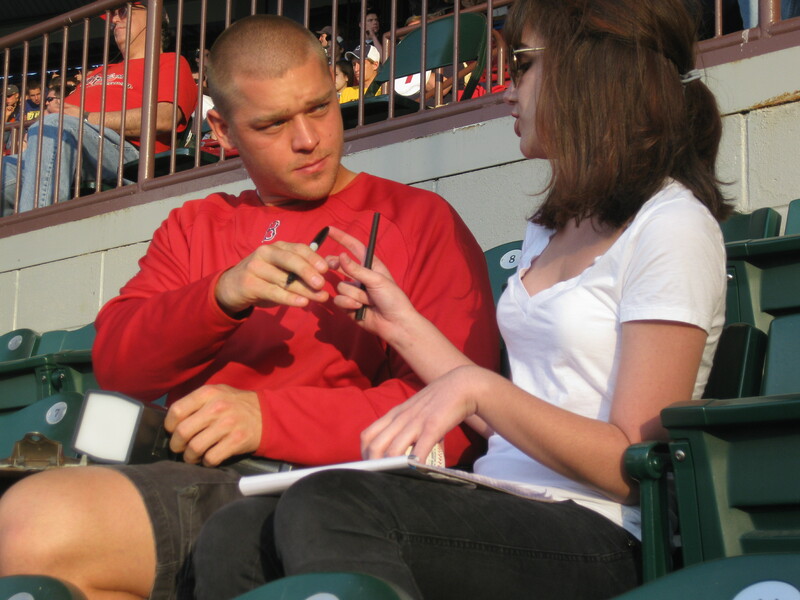 How does broadcasting in the minors differ from broadcasting in the majors? Hoard responded, “Everything is bigger in the majors”, which may seemed obvious at first, but with that there are a few other things that we may not notice. The fact that there is not a huge spotlight on minor league baseball contributes to what he followed up with, “It’s easier to get to know the players”. I can actually notice this myself in Spring Training because it’s the minor league players who may come over for a chat, not the big name major league players. 3. You grew up in New York, and you’ve worked with a few different teams. Do you have a preference for any teams? 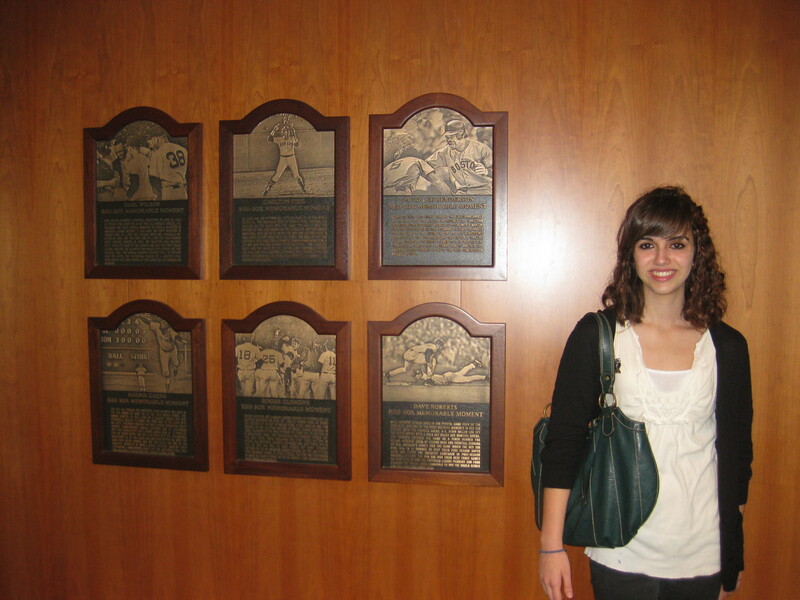 He said that growing up in New York, he was a Mets fan: “as obsessed with the Mets as [I] seem to be with the Red Sox”. He thought that he could never change his favorite team. But when he worked for the Reds he started rooting for them, and now that he’s with the Red Sox organization, he half roots for the Reds, half for the Red Sox and doesn’t even keep up with the Mets anymore. It is hard for me to imagine changing my favorite team considering my current level of admiration for them. 4. Which players do you think are going to be a significant part of the Red Sox in the future, and in what ways? Hoard said that he can see Clay Buchholz and Michael Bowden contributing to the starting pitching staff, and he said that guys like Jeff Bailey or Chris Carter could also have a significant impact. 5. You are also a football broadcaster (and basketball) which do you prefer broadcasting, and why? He responded with baseball, and I loved his reasoning behind it. He talked about how in basketball and football, broadcasters follow the ball for their commentary. In baseball, it’s an entirely different scene. 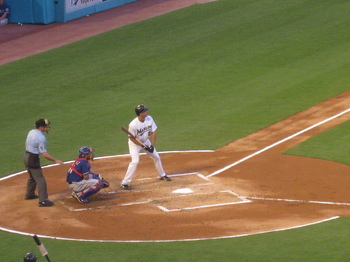 Once a play resulting in an out is made, it could be several minutes before the next one is made. So what do you do during that time, during the many times in which there is a pause in action? 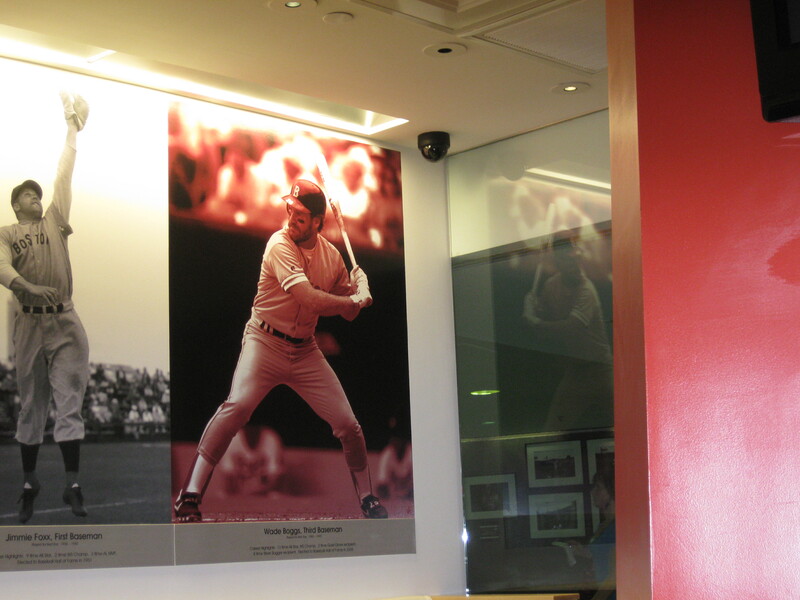 You fill it up with the history of the game, statistics, etc. 6. As a fan of the Reds, what do you think about Pete Rose and his inability to get into the Hall of Fame, and what are your opinions on the players of the steroids era getting into the Hall of Fame? I really liked what Mr. Hoard had to say about this issue, and it was great hearing this opinion from a broadcaster. He basically supports the asterisk method for both situations. While I am really adamant about players who have used steroids not being allowed into the Hall, their numbers are worthy of getting in to the Hall of Fame. Every era has it’s mark, and every era needs to be remembered. 7. What advice could you give to an aspiring sportswriter/broadcaster? “Do everything you can to get in” was his main response. Whether it be sweeping the floors at the local radio station, or working for free somewhere else, it gets your name out. 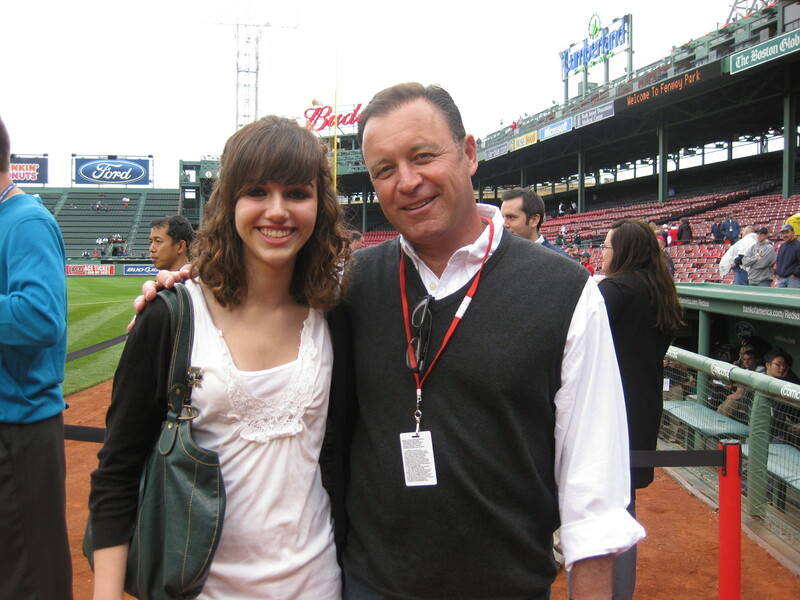 He told me to join my school newspaper and write about the school baseball team (they all hate the Red Sox, by the way). Mr. 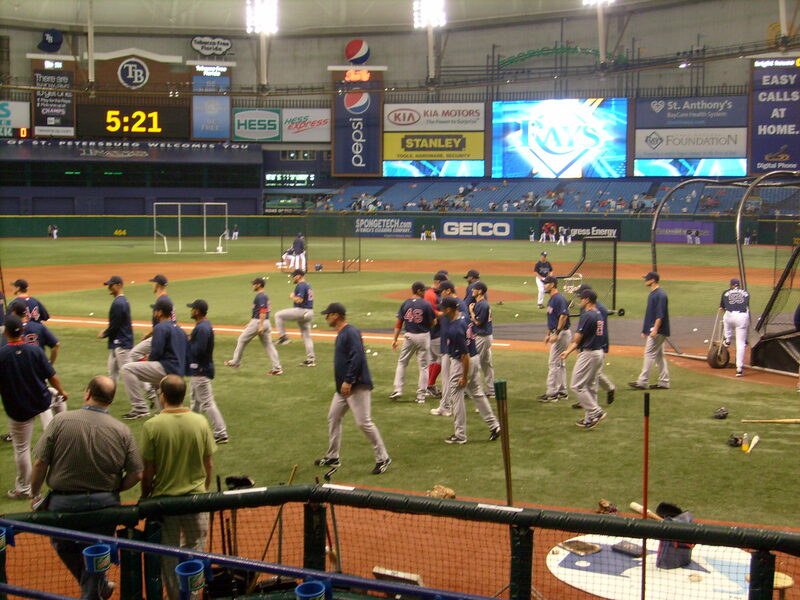 Hoard was also kind enough to give us seats– right behind home plate! I even talked to some scouts before the game. Not only was I able to have a different perspective for myself on the game, I was able to hear someone else’s perspective on the game. For those of you who don’t know him, Michael Bowden is the highest ranked pitching prospect in the Red Sox organization, and a project of mine. Most of you who read this blog know about my projects and how special they are to me. So you must be able to imagine what it was like to spend an entire baseball game talking to one of my projects. The night after you pitch in Pawtucket, you have to do the radar gun and score the game the next day. Bowden, or “Bowdie-Miller” as Jacoby Ellsbury calls him is a Chicago native who always knew that he wanted to be a baseball player. In fact, he wrote about it when he was in third grade. His family was always supportive of him, and he had a pretty cool draft party. He threw a perfect game in high school, and struck out 19 of 21 in the process. I didn’t do a formal interview with him, so it was more of a mutually engaging conversation. I learned so much about pitching from him, it made me see a lot of things differently. For example, I never realized how important that guy on first base can be to a pitcher. It’s almost “half the game” for Bowden. If that guy gets to second, it eliminates the opportunity of the double play, and it puts the runner into scoring position. I never would have imagined that could be so important. He also told me that Angel Chavez has the “best glove that [he has] ever seen”. That’s a pretty strong statement, especially coming from a guy that has been around baseball his whole life. He said that he feels really comfortable when he has Chavez at third and Gil Velazquez at shortstop. A strong defense always helps a pitcher relax. ender, he is so knowledgeable and intelligent. 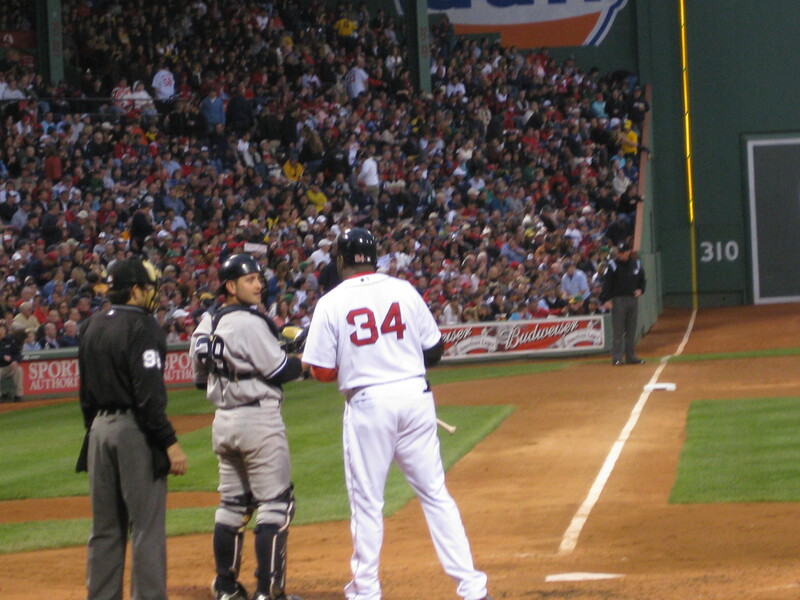 All of us in Red Sox Nation should breathe a sigh of relief that Jason Varitek was re-signed not only because of his abilities, but because of what could have been lost. Had he not signed, Theo Epstein would have been in the market for a catcher. Who would we have traded? 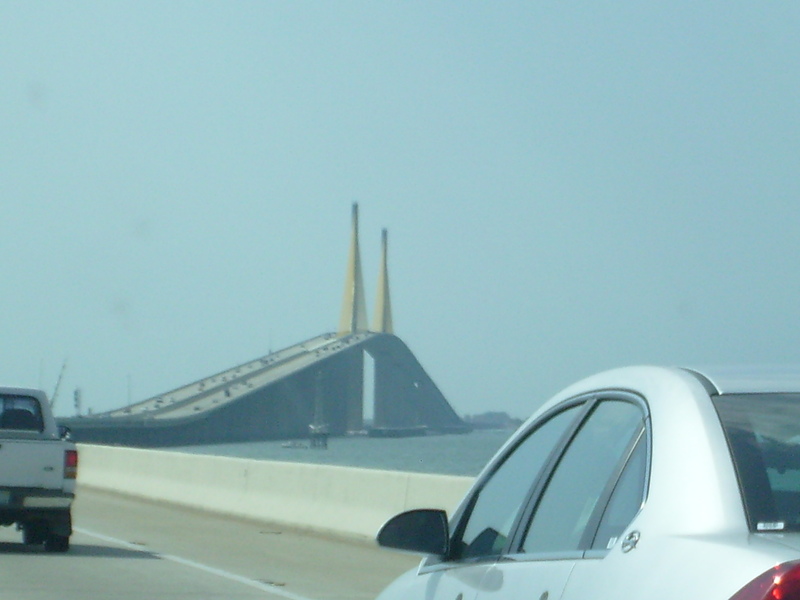 Probably our biggest prospects: Bowden and Buchholz. That could have been a big mistake. As I was telling him about my dreams to become a sportswriter/broadcaster, I also happened to mention that I can’t tell the difference between a breaking ball, a changeup, and a slider for the life of me. He suggested that I learn the difference if I want to go into broadcasting. I asked him if I tried to emulate the style of any pitchers, and he said ‘no’ right away. He has his own style, and quite the arsenal of pitches as well. He said that sometimes younger pitchers try to copy a style, but that goes away quickly. He doesn’t have a Papelbon stare either, and he doesn’t even have a song to enter to yet. He doesn’t know this yet, but I am resolved to find a song for him. He told me that he wants to learn how to play the piano, so if he ever does, I think his song should be Billy Joel’s ‘Piano Man’. Bowden also told me that his record, as well as his teammates, is not always indicative of how he is actually pitching. Offensively, the PawSox have struggled a lot this season, so Bowden has been getting a slim amount of run support. 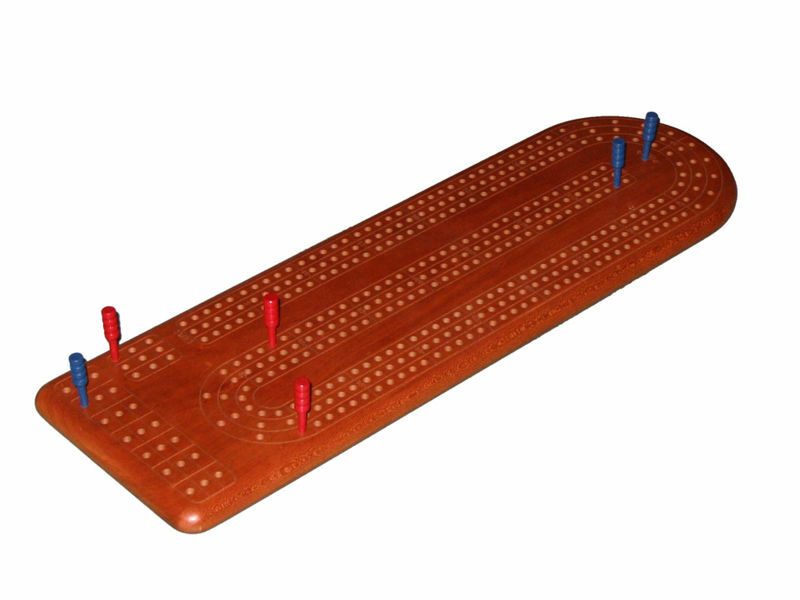 Some of his losses should have been wins (he can tell you the exact game too) and he’s had a few no decisions too. I could tell just by talking to Bowden how much he loves the game and how much he loves playing in the Red Sox organization. 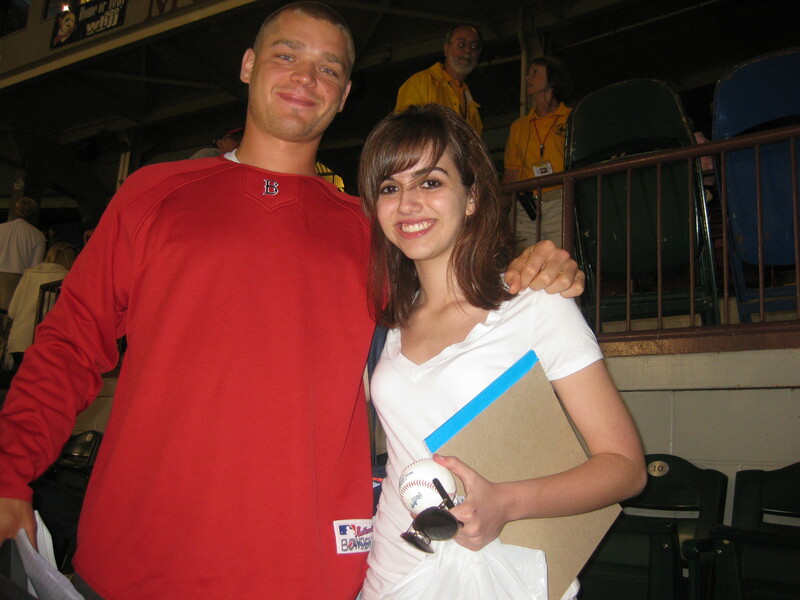 When I asked him if it was his dream to pitch in October baseball, he looked at me like I was crazy. He loves playing with a team that will give him this opportunity. 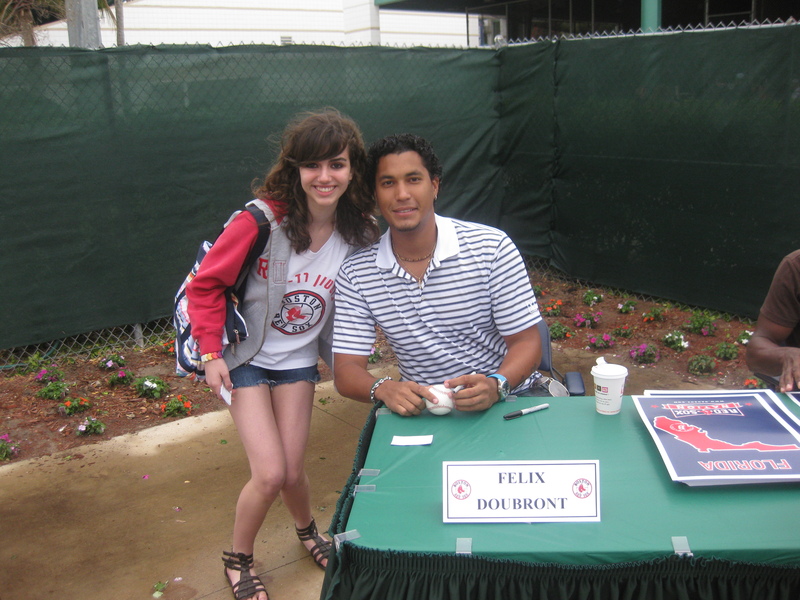 He cannot wait to come back to Fenway, and I hope that it is sooner rather than later, and I hope that he plays in the “Futures at Fenway” game. At the end of the night, we both wished each other luck. 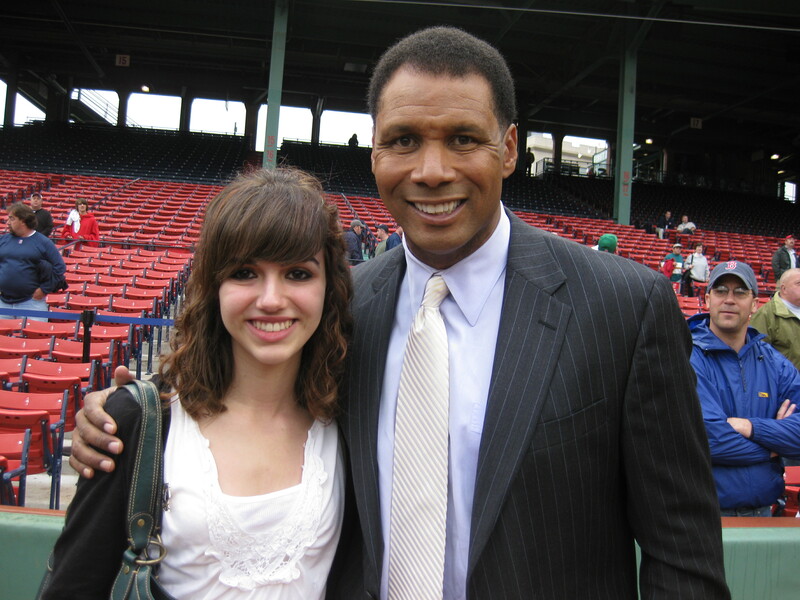 I’d like to think that we both have a future in the Red Sox organization. I know for a fact he does. 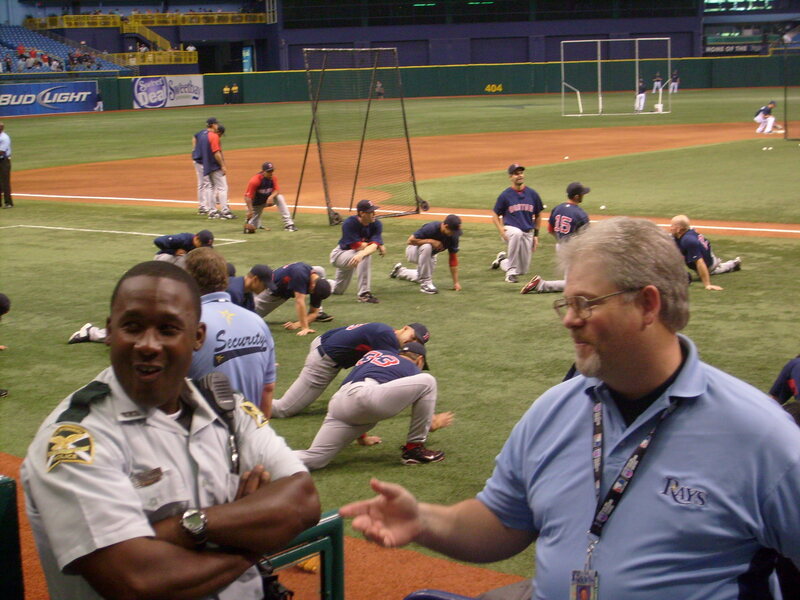 I’ve told you all what my first two Spring Training games were like– in the “reporting” sense that is. I gave you some scouting reports (if those even classify as scouting reports), my projects, and a couple of cool stories. One of the most fun parts about a baseball game though, is the people that you meet and the conversations that you have. Baseball is baseball, but that entire experience of going to the ballpark is so special for a reason. It’s not just the game, because you can just watch that on TV. There’s that special tunnel experience, the bad overpriced food, and the people. 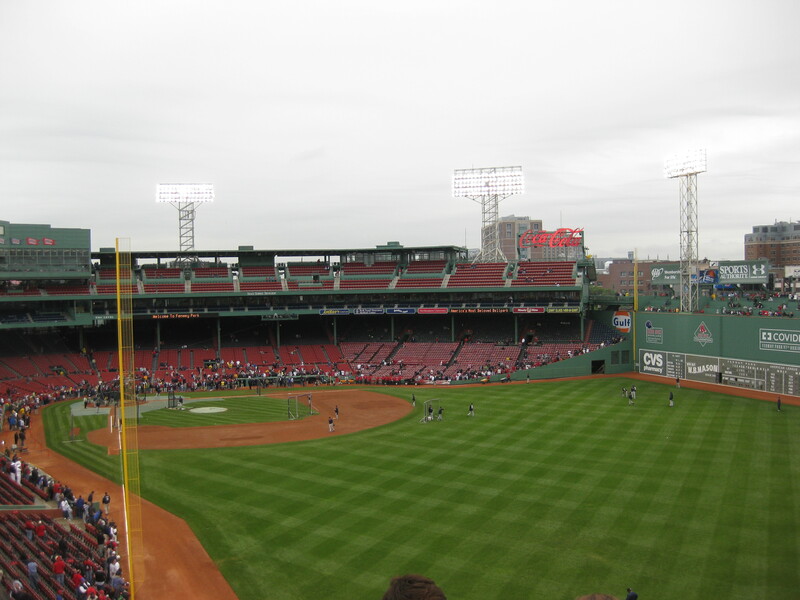 Can you imagine what a baseball game would be like without the people? Every game you go to, no matter who you are– you talk to someone. You talk about baseball, and nothing else. So I thought that I would share with you what happened behind the scenes in Spring Training– the conversations. Before the second game, I was down near the dugout with a bunch of other fans. We were all trying to get autographs, so me and this nine-year-old girl were looking through my program, trying to find the numbers of players that we didn’t know so we could call their names. I became the official yeller, and I didn’t mind at all. 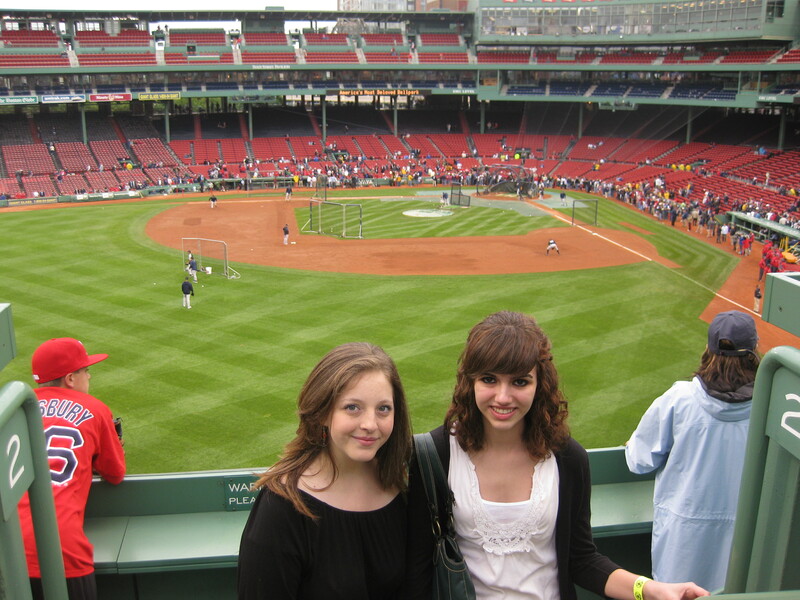 Karen and Kathleen were down there too, and we were all just talking about the Red Sox and what we thought about this year and what we thought about last year, and more. Somehow, a fire drill started to go off. There was no way I was leaving. Kathleen declared that we should all “report on the field in an orderly fashion”. Hey, that’s how they do it at my school. Thankfully, we weren’t forced to leave. Believe me, I would not have gone easily. 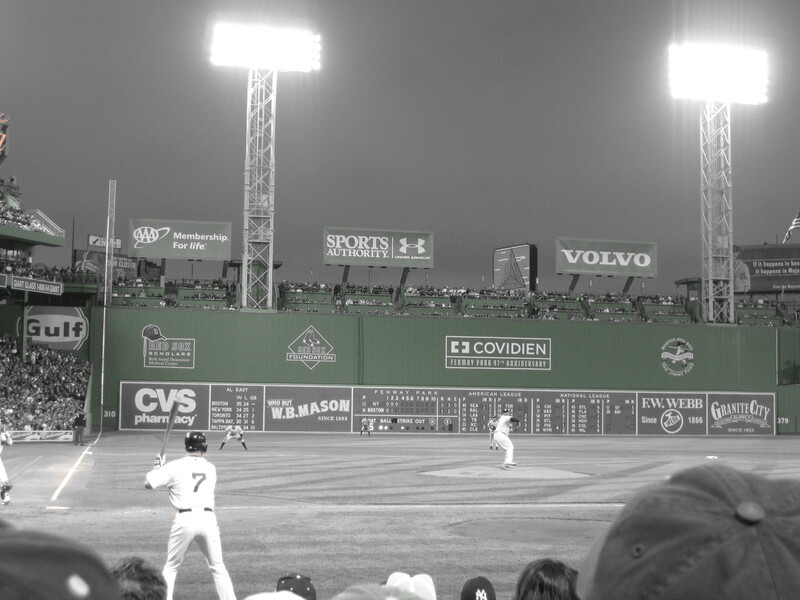 Once the game started, Papi got on base, and we were talking about how we think that we may have seen him steal once. It sounds mythical doesn’t it? “Did the space-time continuum stop or something?” Kathleen asked. I do remember seeing Manny steal last year (we’ll get to him later), and if anything, Papi probably stole on a passed ball. I have a question for you all. How the hell is Justin Masterson 250 pounds? I was looking through my program, and when I came across my former project, I had to stop. Granted he is 6’6″, but really, 250 pounds? He does not look that… he is so lanky! That’s bigger than Big Papi! Starting off with the biggest news, Manny. Well, well, well a two-year $45 million deal. Doesn’t that sound familiar? Kind of like the same offer that was on the table four months ago? This is yet another piece of evidence that Scott Boras overestimated the market this year. The only people that I can recall right now that got more than one year deals were AJ Burnett, CC Sabbathia, and Mark Teixeira– well, those are the must substantial deals anyway. So Manny wanted six years, in the “A-Rod range”. 1. No one in their right mind is going to give Manny six years. After what he pulled in Boston? He even got an opt-out clause in his contract after one year. We all know Manny has commitment issues. He hasn’t even expressed interest for playing the second year. 2. I know that Manny is good– I know that he is Hall of Fame caliber. But no one deserves that kind of money. I don’t care how good you are, $27 million dollars a year is absolutely ridiculous. I would have been alright if he had just said “I’m in a great place where I want to play.” He should say something like that. I’m glad that he is happy, I really am. But, I’m pretty sure that the Red Sox players loved Manny until one point. He was just being Manny. And let me tell you something, us fans LOVED him. I’m sorry, but that statement implies that the fans didn’t love him. Let me tell you guys something, I loved Manny to death, and that statement just plain hurts. Don’t take me for granted, Manny. And was he really unhappy in Boston for eight years? I don’t think so. I think he liked it for sometime. I have to say, I feel a little betrayed. So A-Rod has a torn hip labrum that will require surgery, and he’s not getting it yet. I’m pretty sure that’s what Mike Lowell had, and that was not good. It limited his range (and we already know that A-Rod is not the best defensive third baseman) and Lowell said it felt like a “knife” every time he swung. 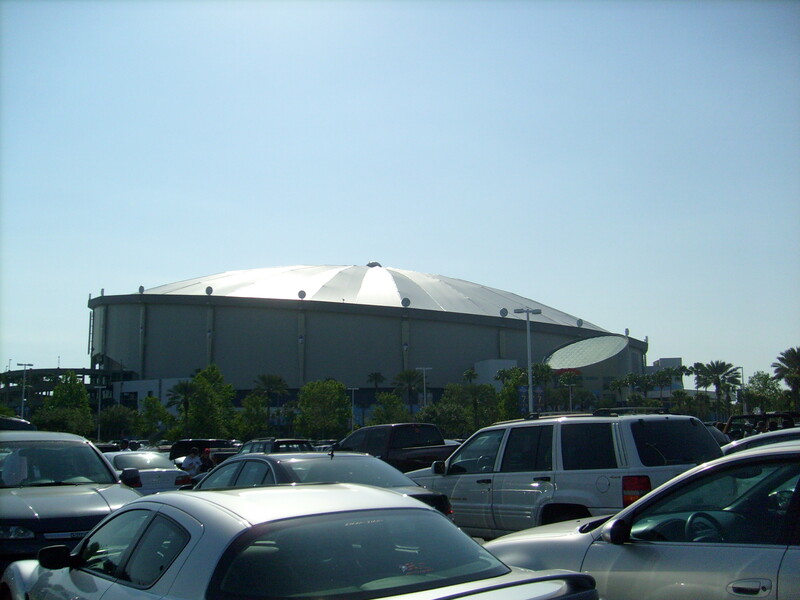 According to Brian Cashman, they’re going to delay surgery until after 2009. After all, the surgery would take at least four months out of A-Rod’s season, and that’s a lot. We all know how he contributes to that lineup, just not in the clutch. A-Rod has put up some good stats thus far in Spring Training though. But as it worsens throughout the season, it could definitely have a detrimental effect. Brad Penny didn’t start today against Puerto Rico like he was supposed to. I guess the shoulder strength wasn’t where it needed to be. Well, I’d rather take it slow with a guy coming off an injury like that than rush him into anything. That’s what Spring Training is all about. Better now than during the season anyway. use he has been feeling stiffness. I’m not too concerned though, I mean, he did say that once he gets loose that he is fine. Lowell is also saying that he feels better, not feeling the knife anymore. His first start should come soon. I’m really enjoying this battle for shortstop. Both guys are looking great thus far. I think that Chris Carter would make a great addition to the bench too.